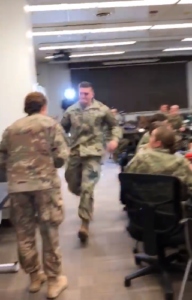 Army Officer Sneaks Into Fiance’s Class For Epic Surprise After 8-Month Deployment. Having to spend months away from your loved ones is very difficult, but service members and their families do it every day. It’s the sacrifice they make to protect the liberties we all enjoy. 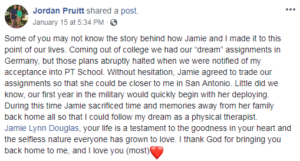 Second Lt. Jordan Pruitt and his fiancée Jamie Douglas, also a second lieutenant, have been practically inseparable ever since they met as teenagers. The high school sweethearts share everything from families with military backgrounds to their own Army careers. 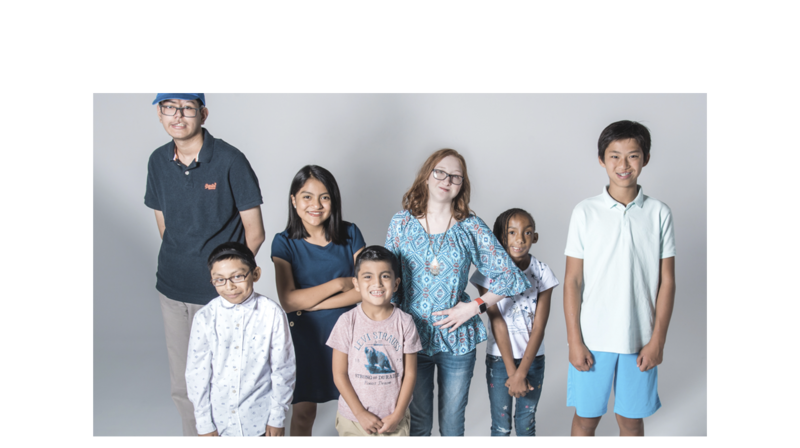 You can imagine how hard it was for them, then, when shortly after getting engaged, Douglas was deployed to Iraq. The couple from San Antonio, Texas, has been apart for the past eight months. Pruitt’s been keeping busy training as a physical therapist, but Douglas’s absence has been tough, to say the least. 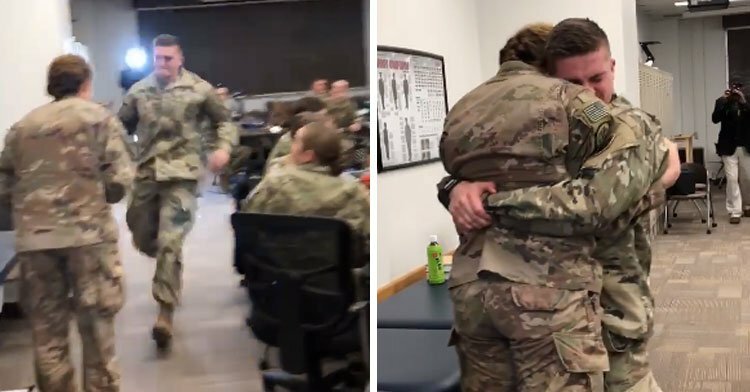 Nobody could understand that more than Douglas herself, so when the medical platoon leader returned from Iraq in January, she decided to surprise her partner in the sweetest way. 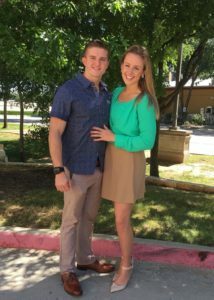 Another person recorded as Douglas walked into a Fort Sam Houston training center, ecstatic to see her fiancé. The unsuspecting Pruitt was in the middle of class when he turned his head and saw her standing there. Wasting no time whatsoever, he ran straight to the woman he’d been missing for so long. 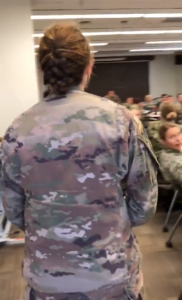 “I’m back,” Douglas said as the classroom erupted in cheers and applause. The love of her life held her close and refused to let go for more than a few seconds. 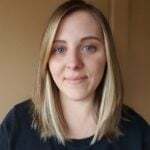 After the video went viral and amassed thousands of views, Pruitt took to Facebook, listing the sacrifices his wife-to-be has made and how much everything she’s done has meant to him. We’re so happy for this beautiful couple and wish them a very long and happy life together. 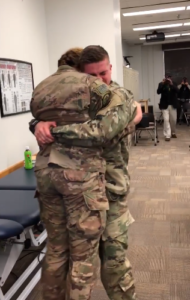 Watch their touching reunion in the clip below, and share to thank them for their service.